In my local newspaper, the Honolulu Star-Advertiser has a regular feature called “Signs of Hawaiian Life in the Universe,” where readers are welcomed to submit their photos of wherever they spot something Hawaiian in unusual places. Such would be the case when we were in Paris, France, and we walked by a restaurant called the Waikiki Cafe. It just so happens that I am vacationing with my family in Germany, so I am submitting the first such picture. 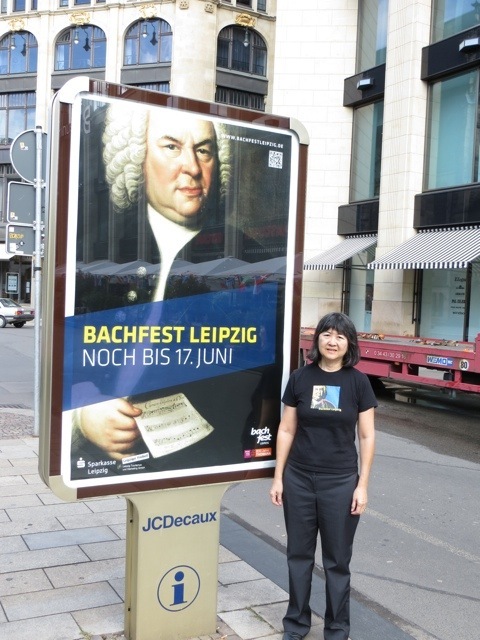 We are attending the BachFest Leipzig, which is an annual celebration of the works of Johann Sebastian Bach. Over the course of ten days, there are 123 musical concerts, talks, and other musical events with world-class performances every day. This is our second BachFest and we always have a great time. 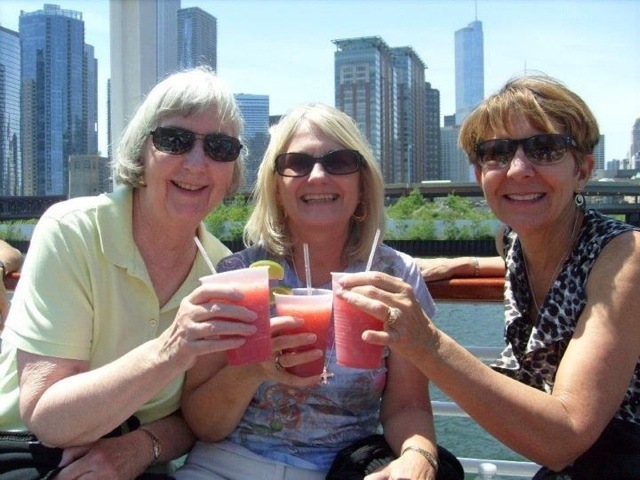 On FaceBook recently, Donna Canzoneri Wray and Merrily Thorne Prescott were in Chicago celebrating Donna’s birthday. How about it Class of 68? Send in your vacation photos so we can see where in the world all the Burbank High grads are. Posted by Katherine Crosier on June 12, 2012 in Burbank High School and tagged Donna Canzoneri Wray, Germany, Kathy Au, Leipzig, Merrily Thorne Prescott. Great idea Kathy! I really enjoy your blog and all the contributions of the class.